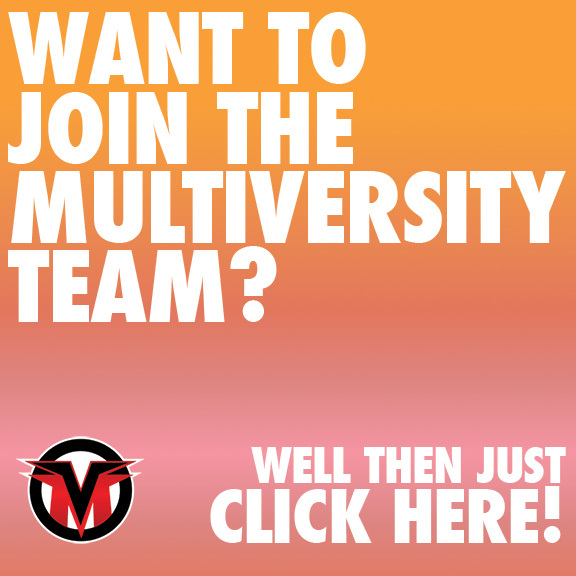 Welcome to The Multiversity Address, Multiversity Comics’s recap series for Marvel’s “Civil War II.” After, Jess, Alice, and I died in the process of covering every single “Secret Wars” tie-in, we opted to just let me recap Marvel’s latest revival of a classic crossover. Obviously, we’ve got “Civil War II” spoilers from here on out. Okay, that didn’t happen but Ulysses sharing a vision of Miles Morales killing Captain America was enough to throw everyone present for the battle between Tony Stark’s forces and Captain Marvel’s into a real tailspin. Carol wants to detain Miles to figure out why there’d be a vision of him murdering Cap, Tony insists she not touch him, and Cap is like “lol remember when I died at the end of the last Civil War? If this kid kills me I’ll be back in a month.” Steve sits down with Miles who says he just wants to go home which Cap says is a good thing to do. Everyone dunks on Carol for being such a dork about this whole Ulysses thing, even Ms. Marvel tells her to stand down, while Captain Marvel just stands around remembering the time the Ulysses helped save New York City from getting destroyed. Eventually, Doctor Strange teleports everyone out of the area which causes Carol to scream this. That’s a picture of me next week at the Doctor Strange when I realize that I spent fourteen dollars watching Bandaid Shovelcrutch frantically wave his hands around like he’s David Pumpkins. Violent raccoon and everything. Anyway, with Miles headed home, he’s presumably going to walk off this experience to have some wacky adventures in “Champions”, right? We head over to the Avengers hide out where Tony decides to ride the momentum of good will people have towards him now that he’s finally not the worst person in any room at any given time. That was a great four seconds. Most of this issue from here involves Team Tony and Team Carol giving each other support and honestly it ain’t that great. It’s just a lot of people going “No, we’re actually right” while we wait for the actual final issue to drop. I’ll say this, even if I’m not a big fan of Carol being thrown into the fascist role Tony took up in “Civil War I”, at least they’re showing how much she regrets being on this side of the war. Also, while all of this was going on, the Inhumans checked in on Ulysses’s training with Karnak and he’s evil now. He didn’t throw a puppy into a wall or anything but he’s got glowy eyes and tentacles so he’s our final boss now. What’s that, you want to hear about the character relevant to this whole story? What about RIri Willaims?! I checked through all of the crowd scenes in this issue and could not find Riri anywhere which means that she just hangs out in Tony Stark’s lab waiting for teenagers to come near her so she can plug her new ongoing. She’s like a millennial Boo Radley. All of the future Champions are looking for a way out so they can find Miles. Unfortunately, SHIELD already found him. Even more unfortunately, Miles is making one last stand. James Johnston is a grizzled post-millenial. Follow him on Twitter to challenge him to a fight.